The documented history of Görlitz begins in 1071 with the first mention as “villa gorelic” in a certificate by Heinrich IV. 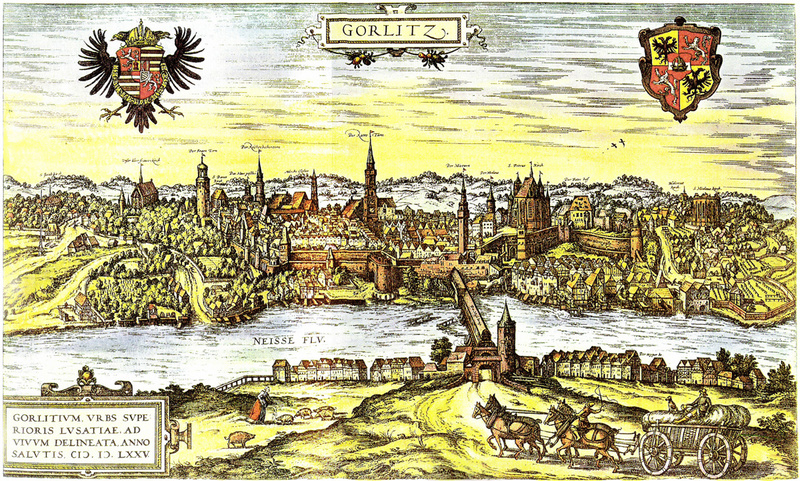 In the course of its history, the city of Görlitz belonged to the dominion of Bohemia, Brandenburg, Saxony and Prussia. Thanks to the situation at two important trade routes, the location developed into a major trading town in the 12th century. As the historical old town, characterized by late Gothic, Renaissance-era and baroque constructions shows till today, Görlitz underwent a first bloom in the outgoing dark age and the first, early modern decades. In the 19th century the medieval town complex became extended by residential and villa quarters of the Gründerzeit. The town got past the Second World War nearly without damage to its structural fabric. The eastern suburbs became a part of Poland as Zgorzelec. Exciting, surprising, inspiring –a day can be in Görlitz. This video shows new and refreshing recordings of the European City. It undertakes a foray, by which one not only gets to know the classical highlights like the impressive Peter’s church and the magnificent Dom Kultury – also the attention is directed at details.